Creating a magical mood for Valentine’s Day can be as easy as cooking dinner for your loved one, if you’re mixing the right ingredients for romance. Aphrodisiacs have existed for centuries with questionable reputation, but studies have proven that many foods do have chemical components that elevate mood, and even create the sensation of falling in love. Warm up your Valentine’s Day, or get wildly carried away, by serving these amorous foods that are packed with the punch of mood-enhancing ingredients. production, heightening sexual performance in both genders. minutes. Transfer to a plate after oysters have opened, reserve steaming liquid, and discard any unopened oysters. Chill oysters until cool, about 30 minutes. and salt to taste. Discard remaining strained liquid. 3. Remove flat half of oyster shell and loosen oyster with a sharp knife. Put oysters in rounded half of shell. Arrange on plates and spoon sauce over oysters. sense of well being, a definite lift in feeling romantic. Along with their alluring earthy sensuality, mushrooms contain phosphorus and potassium, both said to invigorate the libido. 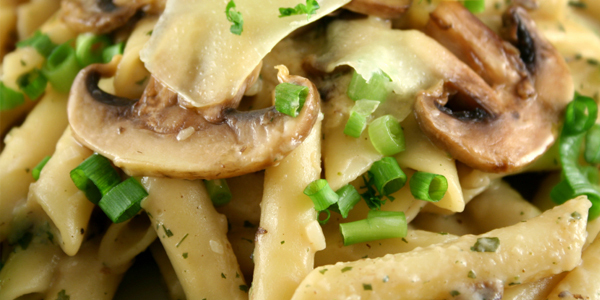 occasionally until the mushrooms are tender, about 15 minutes. and serve immediately, offering additional Parmesan if desired. Legumes such as garbanzo beans, black beans and lentils are great sources for vitamin B6, vitamin C, folic acid (folate) and zinc, all beneficial to an upbeat mood. and celery, rolled up in a raddichio cup, or with pita bread. provide a boost to the libido. Rich in vitamins and minerals, spinach strengthens the body. The addition of golden raisins and toasted pine nuts fills the spirit with the longing to make love. increase libido and act as a natural antidepressant. 1. Preheat oven to 400 degrees F. Butter two 3/4-cup gratin dishes and coat with additional sugar, shaking out excess. 2. In a small bowl blend together 2 tablespoons sugar, flour, butter, and a pinch salt until mixture forms into small pellets. 3. In a small saucepan, bring milk to a boil and whisk in flour mixture and chocolate. Cook mixture over moderate heat, whisking until thickened, about 15 seconds and cool 30 seconds. at a time, until meringue holds stiff peaks. Fold in remaining meringue gently but thoroughly. 5. Divide souffle batter between gratin dishes and put on a baking sheet. Bake chocolate soufflï¿½s in middle of oven for 15 minutes or until puffed. Serve immediately.